Richard Tucker has been a Manchester City supporter for well over 60 years. In his career he has also been a professional photographer. 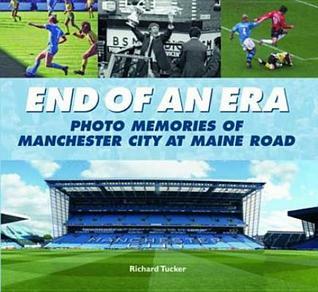 These two passions have come together in this nostalgic book containing over 200 images of nearly 50 games played by Manchester City during their Maine Road days. A fantastic pictural record of Manchester City at Maine Road. Brings back lots of happy memories. This book really is for the city anorak - and yes I am one!